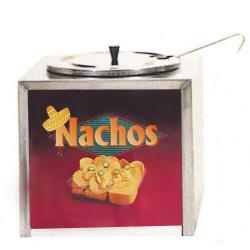 Main Category: Commercial Fun Food Equipment & Supplies | Sub Category: Nacho | Hayes Specialties Corp. 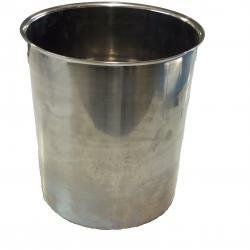 This large Stainless Insert Bowl holds 4 quarts, is approximately 7.75 inches tall, with an interior diameter of approximately 6.5 inches. This Bain Marie Insert Bowl holds 4 quarts, is approximately 7.75 inches tall, with an interior diameter of approximately 5.5 inches. Nothing does a better job of selling your wares than the right signage. 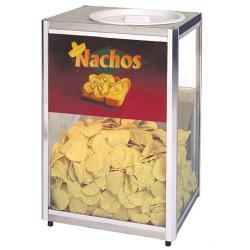 Make sure your customers can see what you're selling from a distance, entice their appetites and help boost sales. 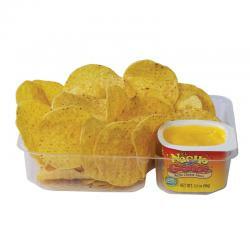 The best way to serve nachos, these clear plastic trays show off your wares and keep chips crisp while in a warmer. The well is big enough to hold dip that lasts until the last chip, but small enough so you won't lose profits to over-filling. 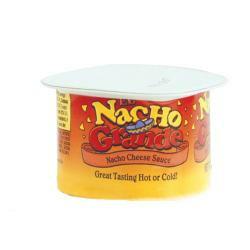 Has a great cheese flavor that will have customers coming back for more. There is no mess, no fuss, and portion control prevents waste. 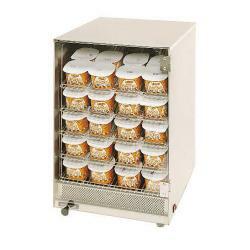 No need for refrigeration, so storage is a breeze. 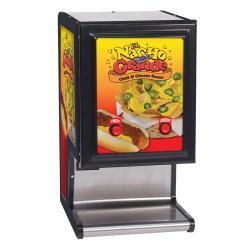 Posters make a huge impact for a small amount of money. 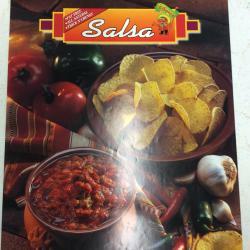 These colorful images quickly grab attention, make your customers mouths water, and drive sales. You asked for it-schools demand it. 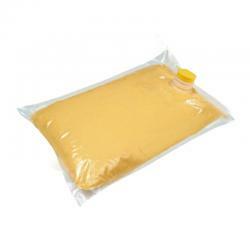 Portion Pak Cheese Sauce with no MSG or Transfats Portion Pak Cheese Sauce made with Real Cheese. 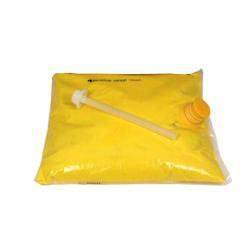 You always expect better quality from Gold Medal. 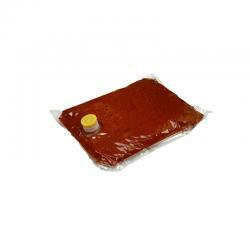 This is not a microwave container. 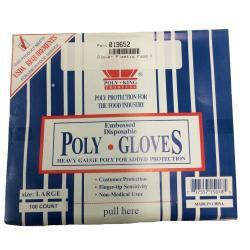 The packaging is designed to be pre-warmed. 3.5 oz. 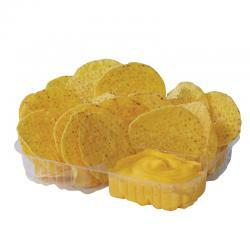 Portion Pak Cups, 48 per case. 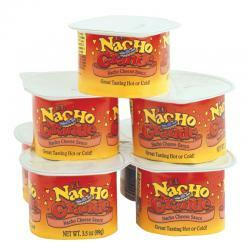 Stack up the snacks &ndash seriously. 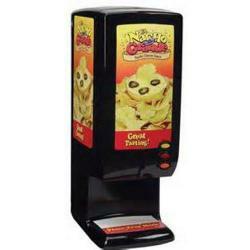 This super space-saver works wonders alone or is a compatible extra to the conveniently top the #015330 Cheese Cup Warmer. 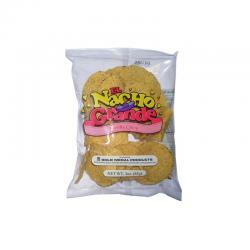 This little giant can hold up to 28 bags of nacho chips, or is great with other items like prepackaged caramel corn, pretzels and more. 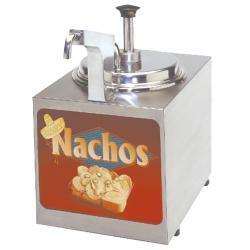 Keep your portion pak nacho cheese warm in this open front dispenser. 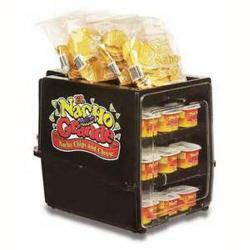 Capacity 36 cups. It's a simple rack that brings in big business. 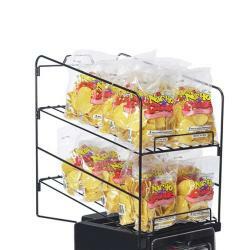 Draw customers from a distance with this lively sign and display rack combo, easily affixed to any Gold Medal chip warmer for maximum visibility and usability. The rack will hold up to 30 3-oz. 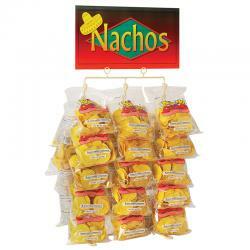 bags of chips, and includes the Nacho Display Sign.